I graduated Missouri Auction School in 2003 and was licensed in AR in this same year with the AR Auctioneers Licensing Board and my AALB LIC is # 1887. I completed 60 classroom hours at The National School of Real Estate in North Little Rock and passed the exam on Oct 13 TH 2015. 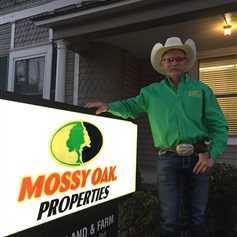 I signed with Mossy Oak Properties in Searcy AR as their Auctioneer and while I'm no longer a rookie as a new sales agent to sell the conventional way, I'm a Pro in the auction industry with 14 years of on-site auctioneering chattel, real estate auctions - estate auctions , farm equipment auctions and moving auctions.